Plex users, ready your VR headsets. The company launched Plex VR this morning, a standalone Android application made specifically for Google’s Daydream VR platform. With the app, you’ll be able to watch all of your Plex content in virtual reality, whether it be movies you have stored, television shows, or anything else. To help set the mood, Plex has created various scenes you can watch your videos in. To start, there is a luxury studio apartment, complete with powered shades whenever a show is started. 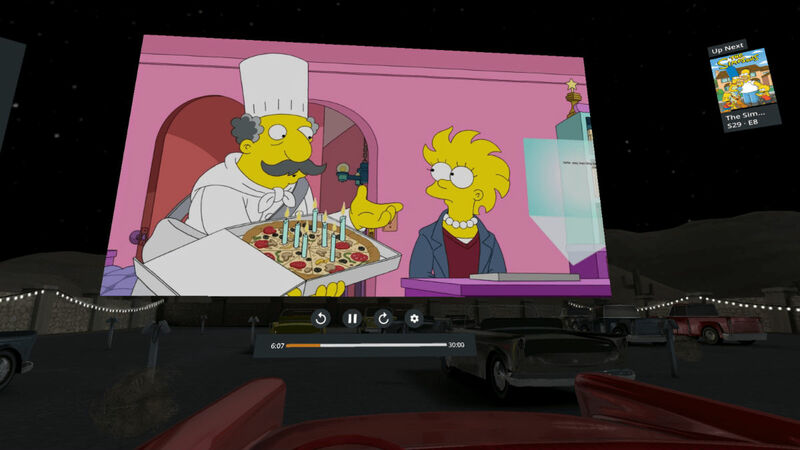 There’s also a drive-in theater scene complete with classic car and working horn you can honk when clicking on it, as well as a Void scene that has you floating in space among the stars. While having a VR app to watch all of your Plex content is already pretty special, there’s another element that brings this app to new heights and helps separate it from anything else available. For those of you with a Plex Pass, you’ll be able to watch things with your Plex-using friends/partners inside of the same scene. Essentially, you’ll be given your own VR screening room, with up to 4 people able to watch shows together, as well as interact with the scenes. Each user inside the room will have a customizable avatar, with the Daydream system tracking head movements so everyone can see what people are looking at. I caught a demo of this from the Plex team earlier this week and it looks quite fun. Plex VR is a standalone application, downloadable right now from Google Play. It’s free to all Plex users, though, you will need a Plex Pass to watch content with your friends. However, Plex is offering this feature free of charge for the first week, so go have some fun. And make sure to honk the car’s horn when you’re sitting behind the wheel at the drive-in theater.